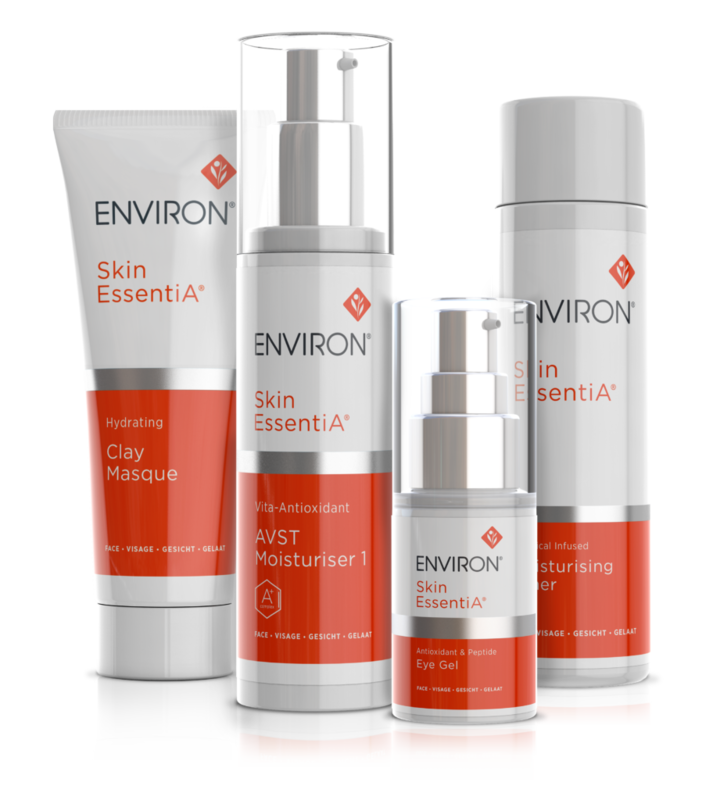 If you are looking for dramatic and long lasting results from your skin care regime, no matter what your skin concerns Environ has the answer. As an authorized stockist of Environ I am delighted to be able to offer the complete Environ skin care range through Zing Nutrition. Environ was initially developed for skin cancer patients by a world-renowned Cape Town plastic surgeon Dr Des Fernandes in the 1990’s. Since then the product range has grown and now carries 140 products , is sold in 70 countries and is acclaimed by international skin care therapists, dermatologists, beauty editors, top film stars and super models alike. The key ingredient in Environ products is Vitamin A which is built up gradually in a unique vitamin step up system. Vitamin A along with other ingredients such as Vitamin C and Vitamin E, antioxidants and peptides help to normalize the skin cells to tackle an array of skin concerns including photo damage, lines, wrinkles, pigmentation, scaring, acne and other skin sensitivities. To Learn more about Environ skin care products, how they work and to view the products themselves you can visit the Environ website. Environ do not authorize the sale of products online due to the high concentrations of active ingredients in some products. In order to purchase Environ products you need to have a detailed consultation either face to face or over the phone with a trained consultant like myself to ensure that you get the best products for your particular skin concerns and that you are advised correctly on how to use the products. If this all seems shrouded in mystery rest assured that the prices are comparable with high street brands. Consultations are free but I do require a £20 booking fee redeemable against any products bought or ordered at your consultation. Please contact Helen by email at helen@feelamazing.co.uk or on 07711497243 to get the ball rolling.